The FCP-9P Therapeutic Choledochofiberscope has a 1.2 mm working channel incorporated into the slim insertion tube; biopsy forceps and basket forceps can easily be passed through the FCP-9P. This therapeutic choledocho-babyscope is also very useful in Electro-Hydraulic Lithotripsy procedures. 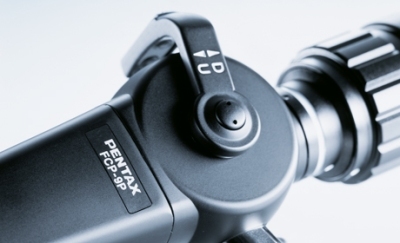 The FCP-9P has an outer diameter of only 3.1 mm, allowing it to be used with any of Pentax's duodenoscopes with a 4.2 mm instrument channel. This makes the FCP-9P an ideal therapeutic choledochofiberscope.